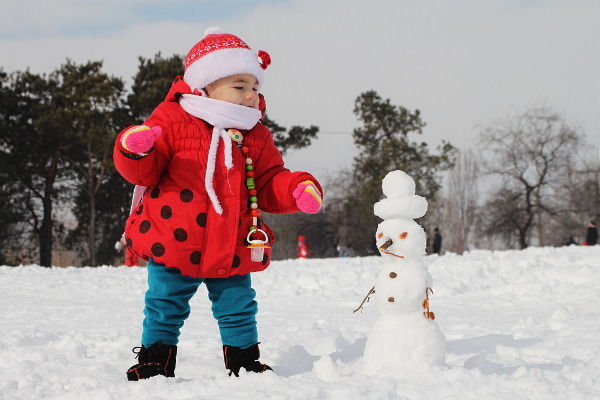 For the Dragobete day yesterday, the girl helped by modeling with a bunch of snowdrops and a traditional hat. 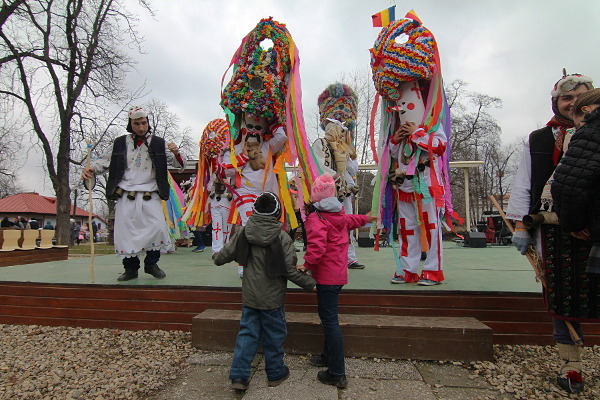 The kids are enjoying the costume show at the Bucharest Village Museum. 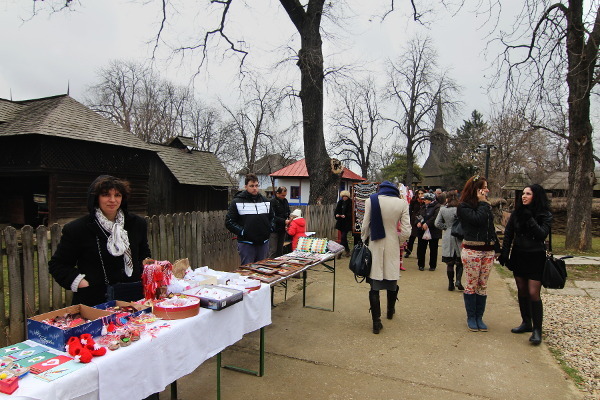 The alleys at the Village Museum are filled with stands selling marțișoare. I didn’t bought any, but enjoyed the event. 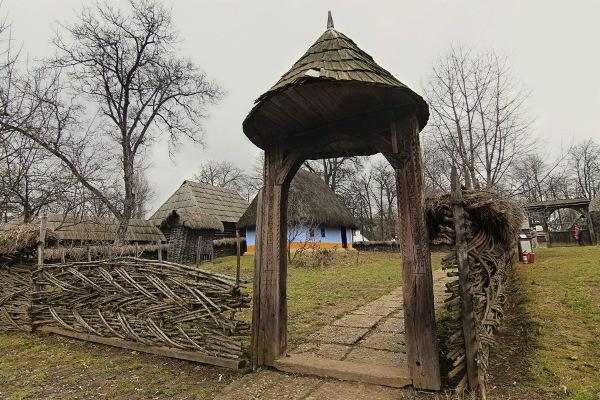 Being at the Village Museum in Bucharest for the Dragobete photo exhibition, I couldn’t miss the opportunity to snap a few pictures around, even if the sky above was so gloomy. 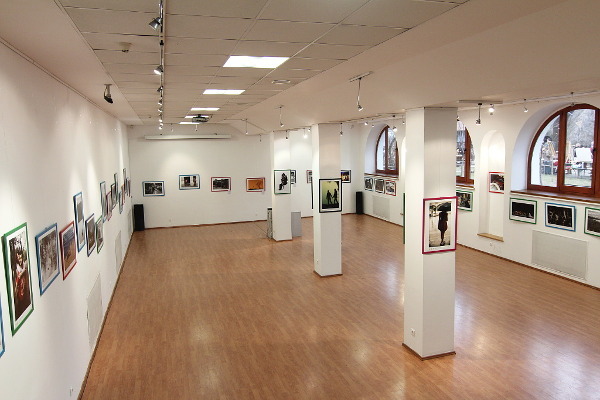 Standing for "Dragobete kisses the girls", "Dragobetele saruta fetele" is a photo exhibition hosted traditionally by the Village Museum in Bucharest (Dragobete is a Romanian popular tradition somewhat similar with Valentine’s Day). 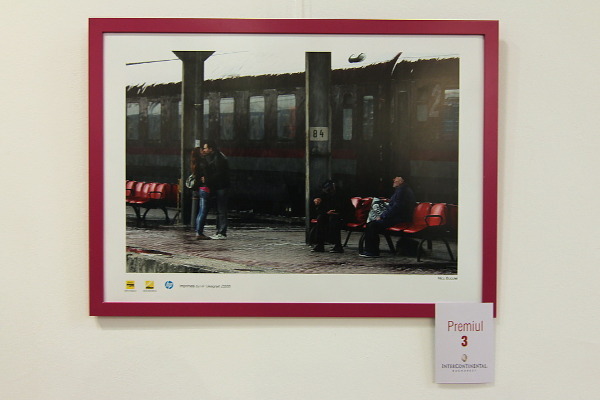 This year I had again the honor to have a picture accepted in the exhibition and, even better, it received the 3-rd prize (is the same picture which received a prize in the Bucharest Art Photographer Salon 2014). 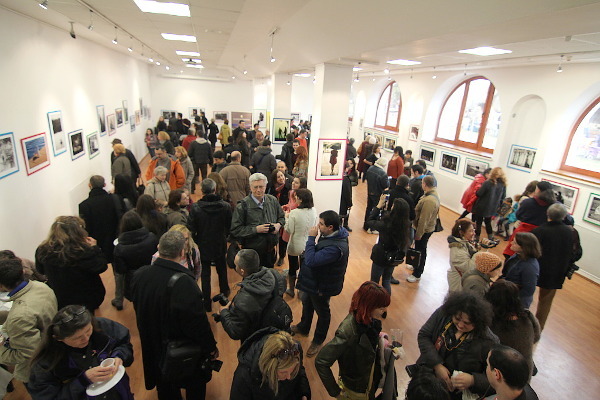 The exhibition is open until 9 of March (basically, for the entire “love spring” season: Dragobete, 1st March, 8 March) and the access is free. 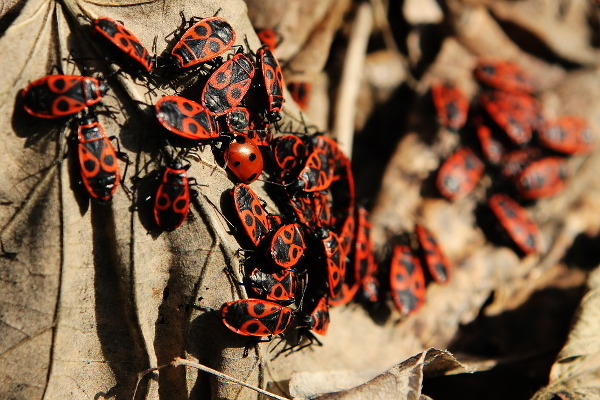 A late winter day with a smell of spring: the warm sun made the bugs come out and wait for the next season. 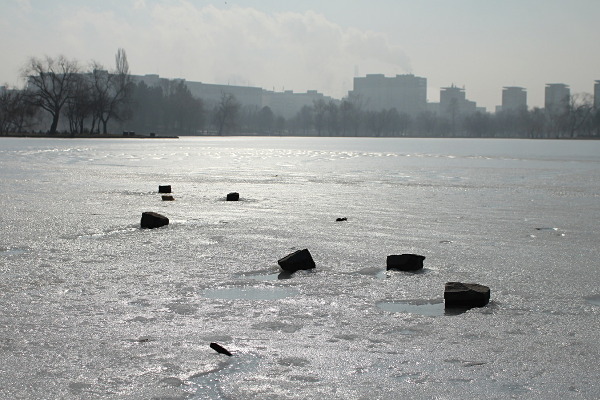 Even if it slowly melting down, the ice in front of the two is large and cold. 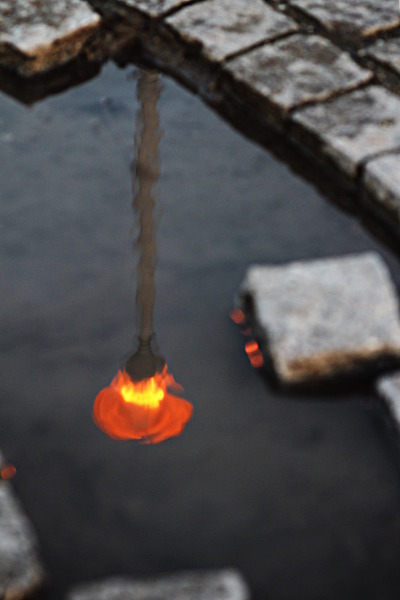 Just a lamp reflected in a street puddle. 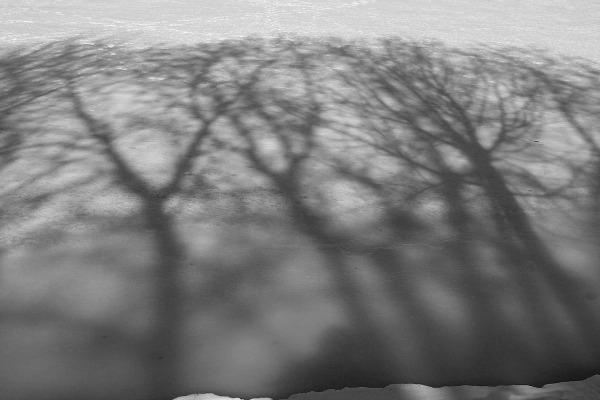 Spring is closing fast, the ice is melting down at a high speed. 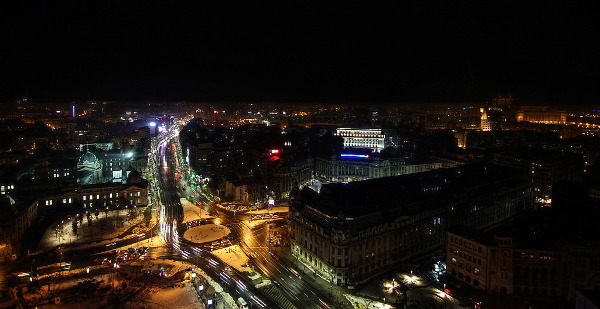 I had the opportunity of a glimpse over the city center of Bucharest. Sadly, it was very brief, got to press the shutter only a couple of times. Ice and trees, it has to be a frozen forest. 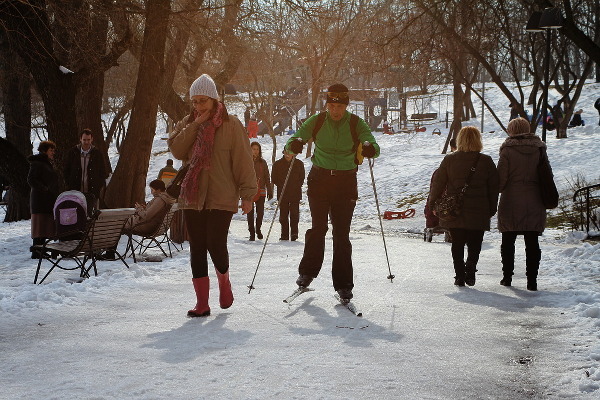 Someone tell him: indeed, the Winter Olympics games take place those days, but in a different city and country.